Contact Appalachian Chimney Services to Make An Appointment Today! Masonry products degrade swiftly as soon as subjected to the freeze/thaw progression where water that has permeated the elements routinely freezes and swells, leading to undue pressure. Water inside the masonry also will cause corrosion in steel and cast iron, weakening or doing damage to the metallic pieces. Water penetration could potentially cause internal and external problems for your house and masonry fireplace. Repointing brickwork is a professional craft. It’s also called “pointing” or “tuck pointing”, it’s the task of milling away and getting rid of deteriorated mortar from the joints of a brick fireplace and updating it with brand-new. The chimney crown, generally known as the chimney wash, is the leading component of a masonry chimney. It covers and seals the top part of the chimney from the flue liners to the chimney edge. We are able to fix or upgrade your broken chimney crown protecting against more severe water deterioration later on. Our specialized quality products and solutions fill splits and result in a covering which forms a adaptable water-resistant membrane to shield chimney crowns. The smoke chamber is the transition zone in between a fireplace throat and fireplace chimney, stretching from the damper or throat towards the bottom of the first flue tile or liner. We’ve got the capability to fix smoke chambers that don’t fulfill regional requirements or the requirements established forth by the National Fire Protection Agency (NFPA). Utilizing professional grade high temperature refractory products and solutions, we are able to correct tough, sloping, uninsulated, deteriorated and incorrectly created smoke chambers. The end result is a smoke chamber providing you with smooth circulation of combustion by products without turbulence. 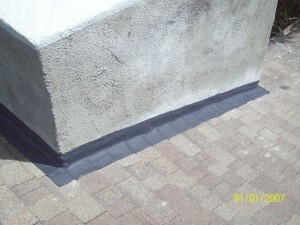 This tends to enhance the effectiveness of the chimney and will minimize the accumulation of harmful creosote. To shield your chimney, we employ Chimney Saver. This is the first solution designed specifically for chimneys, and continues to be applied with success by top masonry specialists for almost 20 years. This decreases water penetration to the masonry by 99.9%, based on ASTM assessments. It’s also 100% vapor permeable, meaning it won’t capture water vapors that could go through the bricks once the fireplace is in use, in contrast to various other items found in a lot of appliance or home improvement retailers. Those goods whenever placed on a masonry chimney can easily actually decelerate water vapors when they go through the masonry, resulting in water deterioration. Chimney Saver is a professional product with expert benefits. Shield your masonry now and avoid considerable harm that could bring about expensive repairs or reconstructing of the masonry. Check out our latest deal!